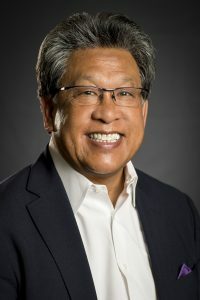 For his decade-long fight to fund higher education in Olympia, Eddie Pasatiempo received this year's UW Alumni Association Distinguished Service Award. When the Great Recession hit in 2008, drastically cutting state support to higher education, Eddie Pasatiempo, ’76, wasn’t one to waste time on regret. He helped start UW Impact, the UWAA’s legislative advocacy program that keeps legislators aware of the need for restoring state support of public universities. The UW Alumni Distinguished Service Award is based on a person’s outstanding service or devotion to the Alumni Association, the University of Washington and the alumni community. Learn more about the award and see past recipients here. A member of the Department of Communication’s Hall of Fame, Pasatiempo is also a past president of the UWAA Board of Trustees and a member of the Big W Club.